Fan-filmed video footage of RATT's November 6 performance at Ferg's Sports Bar & Grill in St. Petersburg, Florida can be seen below. RATT guitarist Warren DeMartini filed a lawsuit in September against the group's drummer, Bobby Blotzer, claiming that the drummer is falsely advertising his "tribute band" as the real thing. 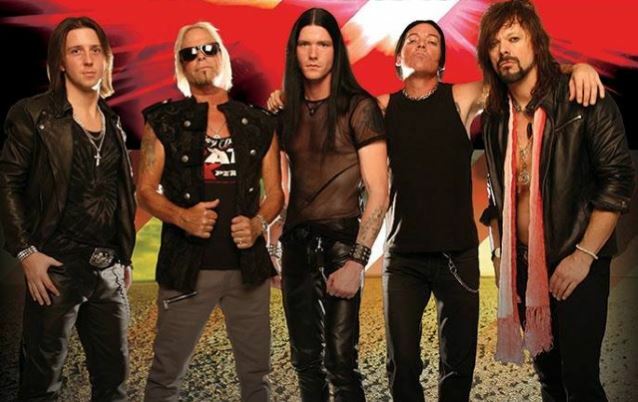 Blotzer announced on September 23 that he was taking control of the RATT name and was planning to hit the road with a new version of the group, which played shows earlier in the year under the name BOBBY BLOTZER'S RATT EXPERIENCE. WBS, Inc., the company which manages the business and operations related to RATT, was originally formed by Blotzer, DeMartini and singer Stephen Pearcy. Pearcy lost his share of the name in court after splitting with the group in 2000. He returned to the band in 2006 but exited again last year. 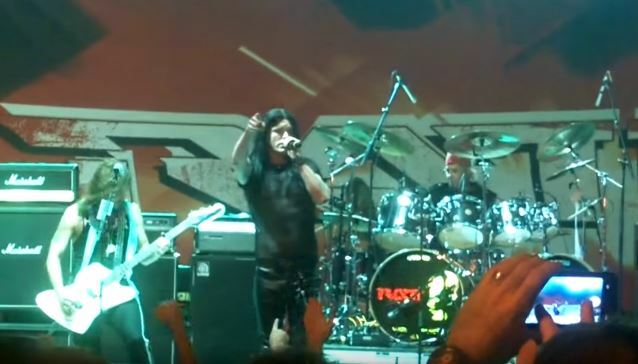 Blotzer has since expressed his desire to keep RATT alive with a new singer, but explained that DeMartini did not want to tour as RATT without Pearcy. According to the lawsuit, Blotzer held an annual WBS shareholder meeting on September 3 at Jerry's Famous Deli in Studio City, California in which he elected himself chairman of the board and president in place of DeMartini while DeMartini was elected "vice president of guitars." On September 10, DeMartini's attorney sent a letter to Blotzer's lawyer claiming that the shareholder meeting held a week earlier was "defectively noticed" and insisting that all action taken at the meeting is "null and void." DeMartini is seeking damages and attorneys' fees. Blotzer's revamped RATT is rounded out by Josh Alan (SIN CITY SINNERS), Scotty Griffin (ex-L.A. GUNS), Doc Ellis (Jizzy Pearl's LOVE/HATE) and 22-year-old guitar hero Blaze.